Here a selection of some interesting recent scientific papers related to CUPIDO’s research. 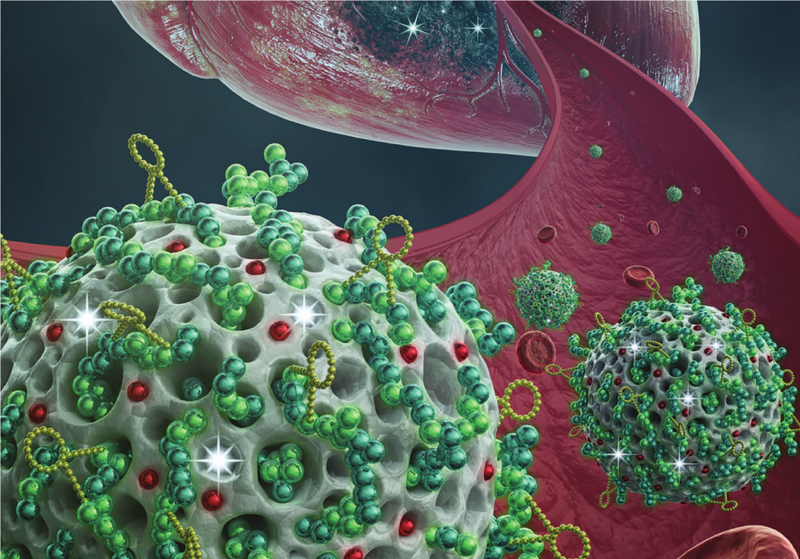 Elementary nanocarriers, pharmaceutically easier to develop and whose preparation is transportable to the industrial scale should replace the complex architectural design of many nanomedicines. At CUPIDO, we specifically address the first solution by developing a non-invasive drug-delivery system for CVD based on inhalable nanoparticles that should deliver a therapeutic directly to the diseased hearth. In a recently published article, a team of researchers from the University of Helsinki explored the potential of employing porous silicon nanoparticles to deliver medicines to the injured heart tissue through intravenous administration. The nanoparticles’ surface has been engineered to ensure the targeting to the heart, thanks to specific molecular recognition. In their study, the researchers elucidate the material toxicity and interaction mechanism of the nanoparticles with cardiac cells. Moreover, the nanoparticles loaded with a novel cardioprotective small molecule showed a promising cardioprotective effect by modulating cellular processes involved in heart hypertrophy. These results provide a valuable insight into the development of nano-therapies targeted to the myocardium, which is also one of the objectives of CUPIDO. Nano-embedded microparticles represent a promising approach to deliver nanoparticles to the lungs and, with an appropriate aerodynamic diameter, they enable an application with dry powder inhaler. By disintegration after deposition, nanoparticles can be released to exhibit their advantages such as a sustained drug release and delivery of the drug across the mucus barrier. The use of an appropriate excipient to embed the nanoparticles is essential for the necessary disintegration and release of nanoparticles. In this context researchers from the Saarland University investigated the influence of the excipient mannitol on the behavior of nano-embedded microparticles. By enabling the release of nanoparticles from nano-embedded microparticles, mannitol was shown to be an ideal excipient to convert nanoparticles by spray drying into an inhalable dry powder formulation. CUPIDO aims to develop an inhalable dry powder formulation having as final target the heart while the lungs represent a mere intermediate step.